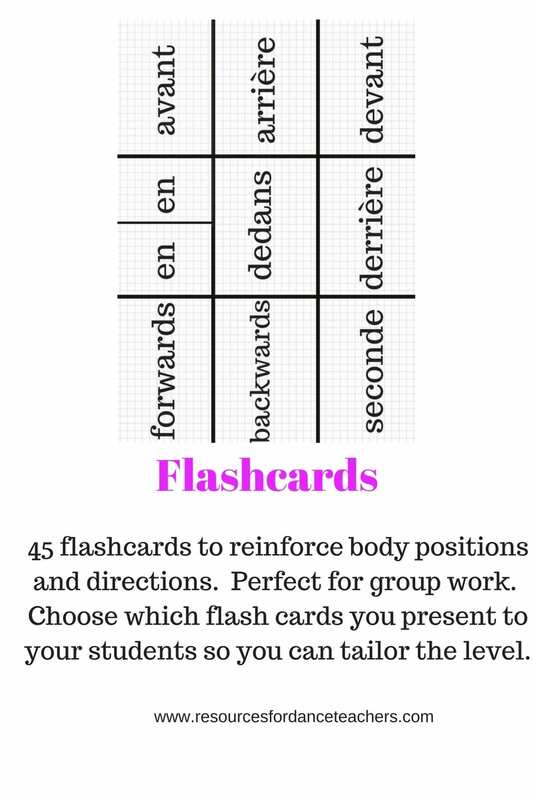 Never be stuck for a theory activity again! 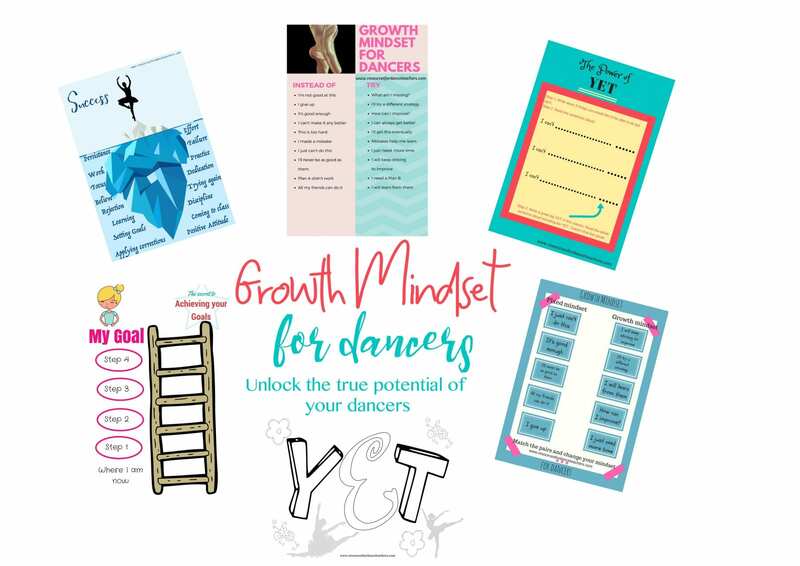 I have assembled my most popular and beloved theory worksheets and bundled them all up into one big value pack. 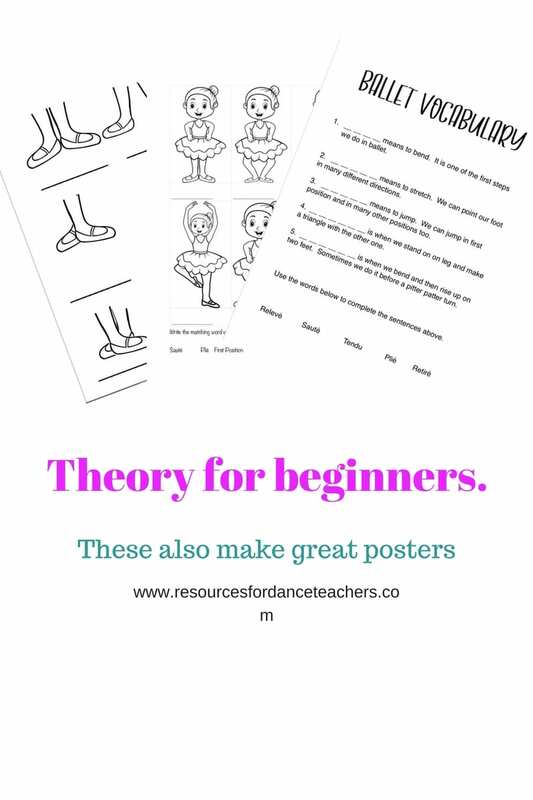 This ballet theory activity pack contains over 20 pages of worksheets, coloring pages, word searches, flash cards, theory match activities, posters, and classification exercises. 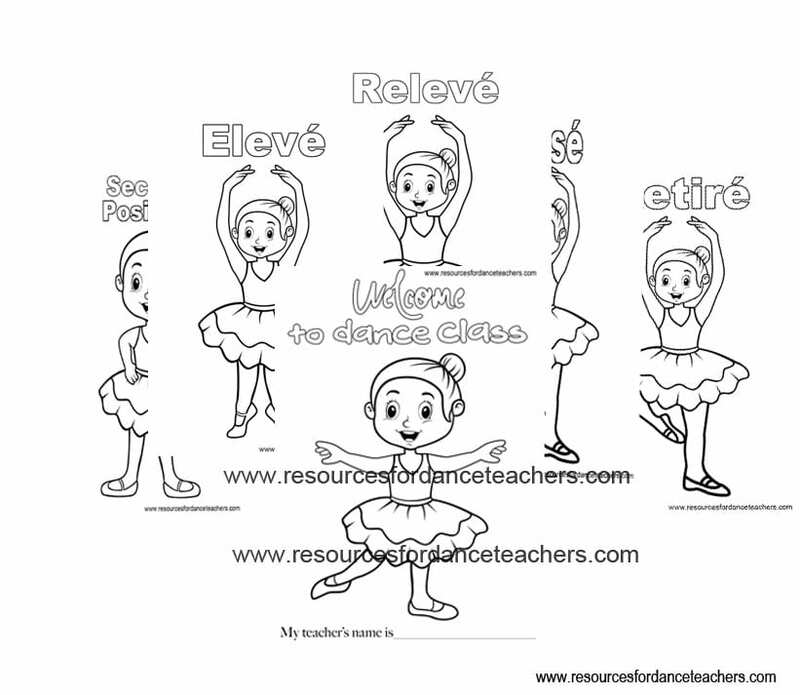 For beginning students there is a beautiful positions of the feet colouring sheet which is also perfect to print out as a poster for your studio, a gorgeous worksheet featuring Nina Ballerina for your youngest students to colour and match the terms to the picture (terms include, plié, tendu, passé/retiré, sauté, first position and second position), plus a fill in the gap activity sheet. For your inter to advanced students there are a range of activities available. 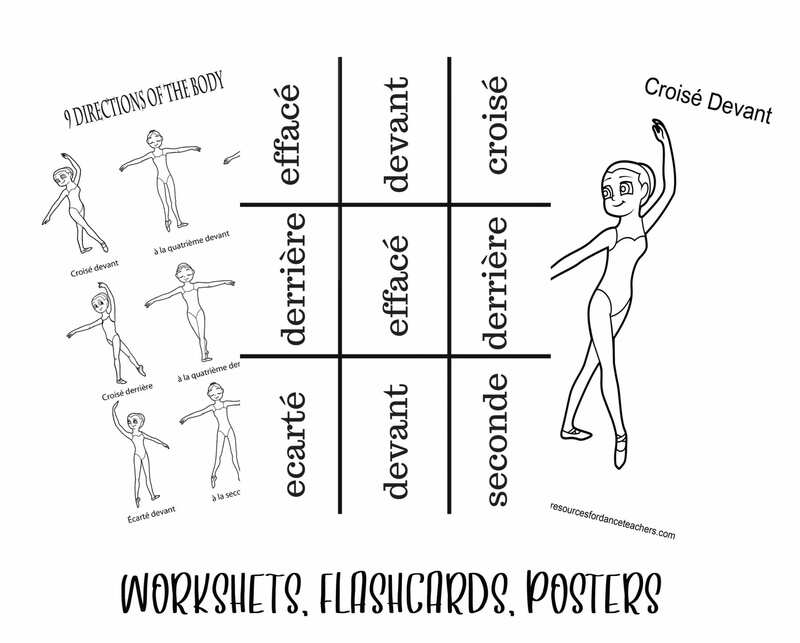 The 45 printable ballet flash cards are perfect for group activities to introduce and revise body positions and directions. 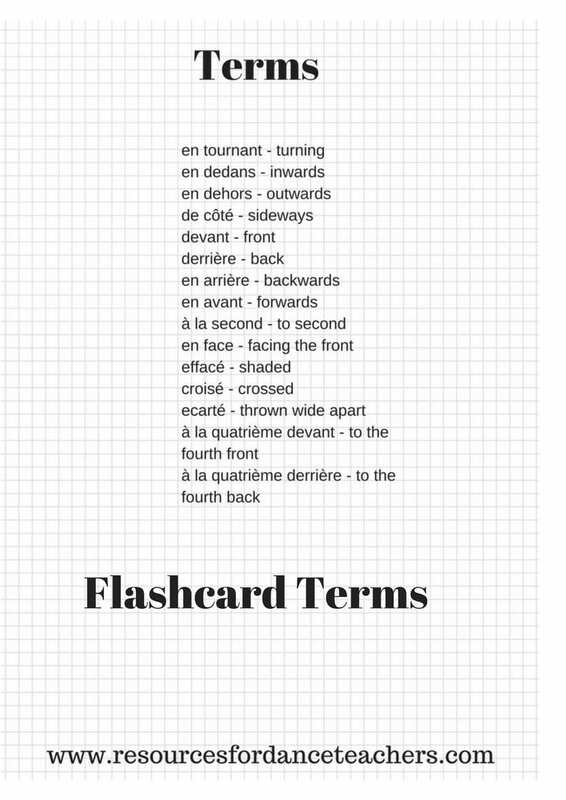 (see pictures for terms included). This can be followed up by the directions worksheet. After that there will be no more excuses for not knowing basic body positions, directions and positions. 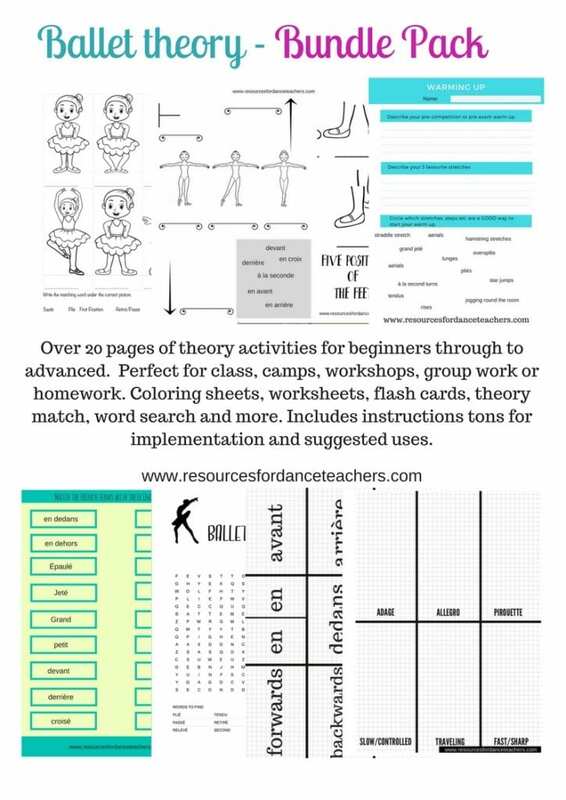 The warm up activity sheet is a great conversation starter and helps students identify ‘good’ warm up activities and helps them to devise their own warm-up routine. Theory match can be used a sheet at a time or given out as a pack and is great for revising commonly used theory terms. 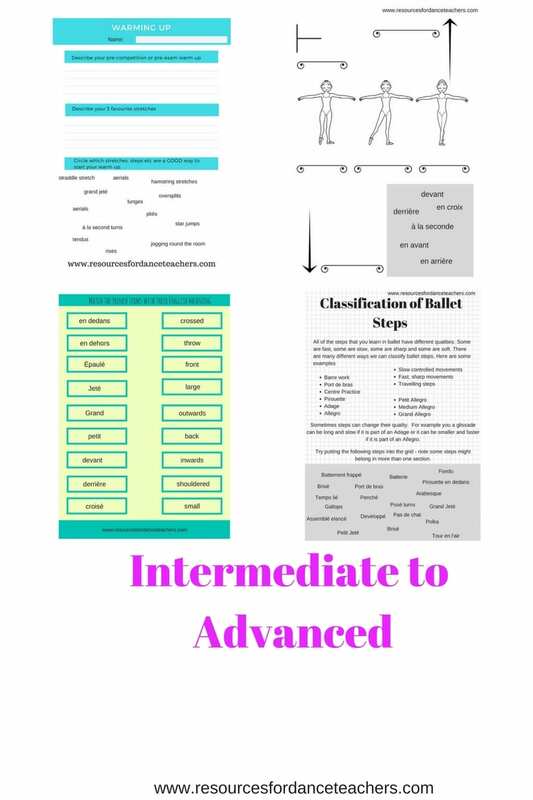 Ballet step classification introduces different ways of classifying ballet steps, provides a classification activity and is a perfect springboard into a choreography workshop.